Before your wood furniture takes its place in your home, it exists in nature as up to 80% water. In fact, the average weight of a freshly cut log – or green wood, as it’s referred to in the industry – is about 50% water. Of course, over time, the wood dries out and this drying out or curing process is very important; the wood used to build high-quality furniture should be cured such that it can handle the typical humidity fluctuations in your home or business. Why and How is Wood Affected by Humidity? Wood is porous, which means it can absorb moisture from its surrounding environment. Just like a dried carrot can become rehydrated in your soup pot, untreated, cured wood can swell up if your house is too humid or it is exposed to extreme moisture on your porch, in a garage or in a non-weatherproofed storage building. Conversely, if you live in an exceptionally dry climate, your wood can dry out beyond the manufacturer’s specifications, which will cause it to shrink or contract. Wood is most dramatically affected between the grains, rather than along their length, which is why wood that has expanded and contracted will typically crack or split right along its own wood grain patterns. So, what can you do to protect your hardwood furniture from unsightly – and damaging – cracking, warping or splitting? 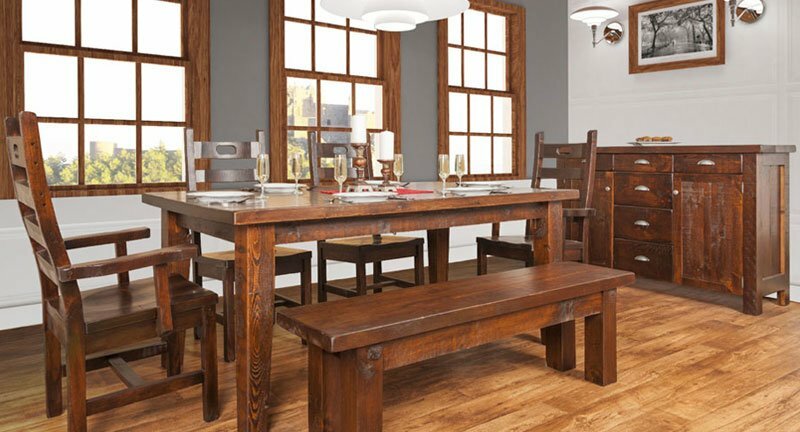 Can I Protect Solid Wood Furniture From Humidity Damage? As mentioned in the beginning, your wood furniture’s resistance to humidity fluctuations begins with the curing process. Typical hardwoods are cured to a 10% moisture content. Cheaper wood furniture is often cured too fast or not long enough, resulting in “green” wood that will appear dried out within a year or two, regardless of the measures you take. If the factory cures it too fast, using higher-than-recommended kiln temperatures, you’ll have the opposite problem. Purchasing your furniture from a reputable store or vendor will ensure the wood used to build your furniture was cured correctly. Wood is happiest with an interior humidity level of about 25% to 35% (a little higher or lower is okay). You’re in luck, because optimal humidity for healthy indoor air quality is between 30% and 60%. Make sure your home’s HVAC is set to maintain these target humidity levels. If your system doesn’t include a humidifying system, you’ll want to use one during peak hot/cold seasons when your indoor humidity levels can dry out. Depending on the type of finish you select, your wood will require varying levels of care. In some cases, it may only require a wipe down with a soft, dry, clean rag to keep it in shape. In others, you may need to oil and/or polish it on occasion. Always refer to the manufacturer’s instructions when caring for your solid wood furniture pieces. 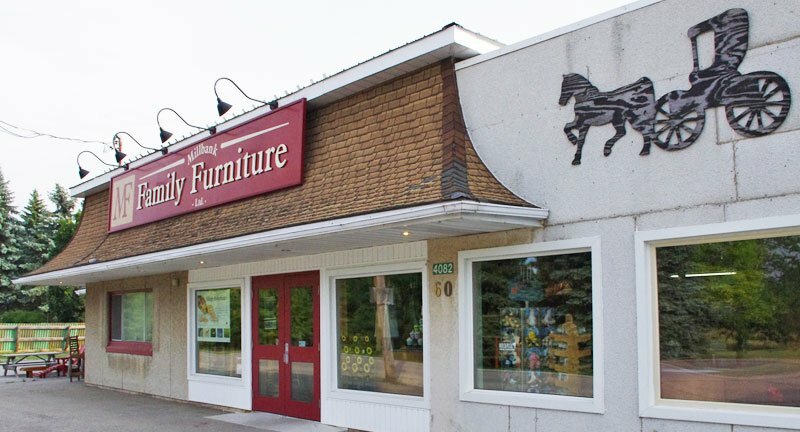 Contact Millbank Family Furniture for more information about how to protect your hardwood furniture from seasonal fluctuations in humidity or to find out how to repair a piece that has been damaged. If we do our job right, your beautiful, custom furniture pieces will be appreciated for generations to come.